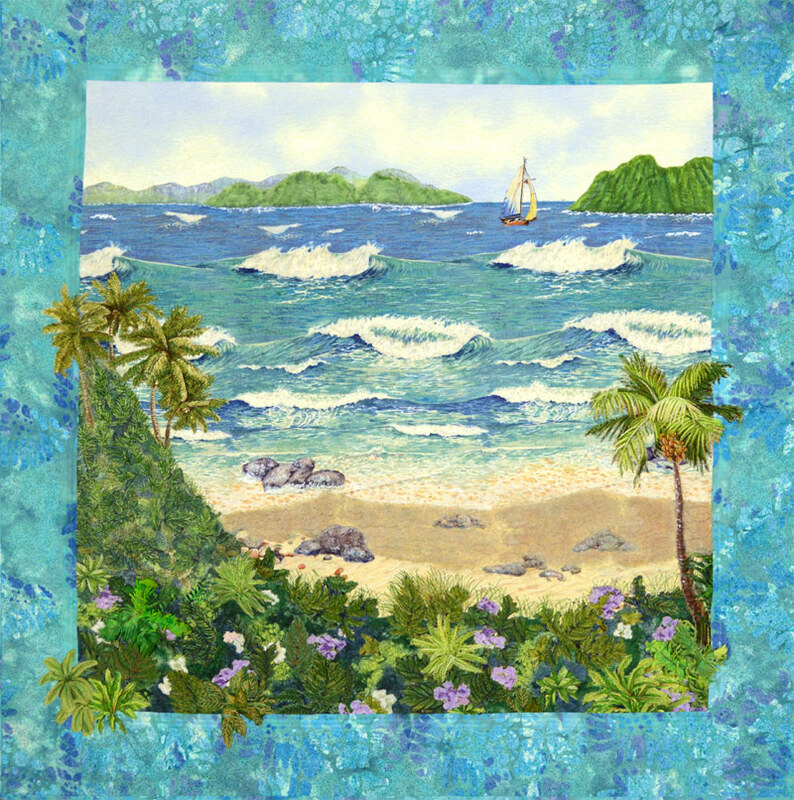 Tropical Adventure was created as a workshop sample for a Panama Canal Quilting Cruise. This quilt was really fun to design and execute and includes some dynamite fabrics. I shopped for tropical prints while in Hawaii and once I found the water fabric, I was ready to roll. Innovative techniques include using actual craft sand glued to the underlying fabric, with an overlay of tulle. This was a “kit” workshop and my students did an outstanding job of completing their quilt tops before the cruise was over!